There’s no doubt that information products are a great way to make profits. Digital downloads are easy to format and can be created by anyone who has something to say. For the marketer, eBooks are a great tool to bring in profit. But one of the best things you can do is add more than one form of media to your sale to increase profit margins. The reason that multi-media products increase profits is because even for people who are great readers, how-to examples set in a step-by-step visual guide make it easier to learn and retain knowledge. It’s easier for most people to grasp learning something new when it’s presented visually. You may know what you mean in your eBook when you talk about formatting something or putting it up on a website, but for the beginner, those words will seem like a foreign language. Using videos to sell your products also gives you the edge of being able to add a personal touch. You can also add audio files for the customer to be able to download as an MP3 to their player for on-the-go learning. 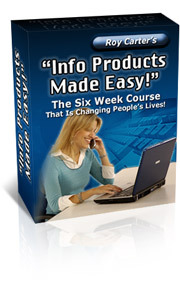 Audio courses are just another way to use multi media to raise the level of profits you earn. Audio files are more portable and versatile than ever before and with the rise of the iPod and other MP3 players, almost everyone has a way to play audio files. Fortunately, it doesn’t take a lot of fancy computer software to create quality audio files. All you need is a microphone that plugs into your computer or laptop and recording software, some of which is already pre-installed on your computer. Audacity is one free audio editor that works across multiple platforms, enabling you to record your lessons. Audio files are particularly good if you get easily flustered in front of the camera. You can reference a quick outline you’ve written in an audio recording without the audience ever knowing. When you’re ready to make your recording, find a quiet place. You don’t want to have to scrap a perfectly good recording because your microphone picked up the sounds around you. Once you’re finished with the recording, listen to the playback carefully in one sitting and make a note of anything that needs to be edited or changed. Audacity and other audio recording programs can help you remove long pauses or unnecessary words for example ‘like’ or ‘um’ or any pet phrases that you might overuse.